It's not every day you get to hang out with one of the chart's HOTTEST stars in a pub but today...we got to! 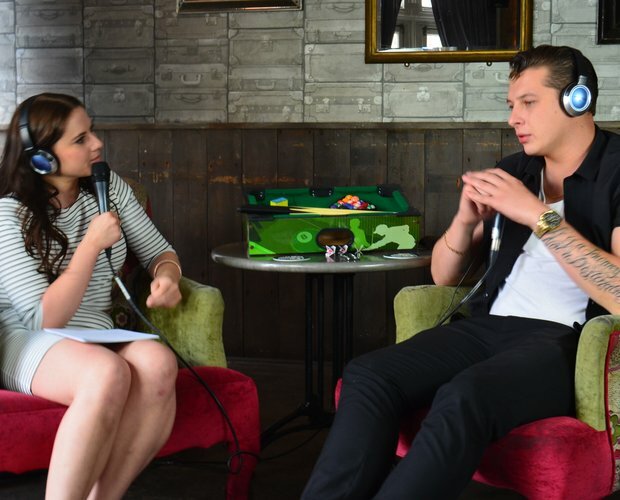 It has only been two days since John Newman's incredible new single 'Come And Get It' was made available to download but the British singer has already made his mark on the Vodafone Big Top 40 chart charting at No.2. See our exclusive gallery to find out the freshest top ten around right now featuring John Newman & Little Mix. It's been two years since we were treated to his debut album 'Tribute' and we've been waiting for more ever since. When talking about the second album John explained, "it's very slick, 'Come And Get It is a good sum up' and it's all based around a concept of the cycle of life'. We are liking these hints John! He added, "got another single and then it's coming out around October time'. We can't wait! Mr. Newman also revealed how he's been working with a lot of Michael Jackson's musicians as well as the legendary singer Charlie Wilson who you may remember from Sigma's 'Nobody To Love'.